As with any technology, there’s a product adoption lifecycle and Esri’s portal technology (ArcGIS Online and Portal for ArcGIS) is no different. Since its release in 2012, ArcGIS users have been in the early stages of this lifecycle, but our focus at GEO Jobe has remained the same. I wrote a supporting post on our overall product vision a year ago, so I wanted to provide an update on the outcome of our efforts in 2015 and our focus for 2016. We worked hard in 2015 to establish good product-market fit with our Admin Tools application. As we engaged the market, we found that the overwhelming majority of interested users were in phase 3 and primarily interested in our content management tools. These clients were innovators and early adopters of portal technology. As a result, they had a significant number of named users and content, were managing multiple portal instances and often used Portal on-premises. As a result, our primary focus was enhancing the product to support their advanced content management needs. We did just that with major clients such as Esri, BP, Sempra Energy, City of Philadelphia, State of Oregon, US Forestry and many more. As you look back through our blog posts in 2015, you’ll see this focus. The outcome was an international user base of over 2,000 organizations and the most popular app on the ArcGIS Marketplace. As we started looking forward in 2015, it was apparent that as the product adoption lifecycle evolved, more and more ArcGIS users would be adopting portal technology. This meant an increase in demand for features within our application that addressed bottlenecks in phases 1 and 2 above. What we knew about these users is that they’re not so much focused on managing content, but rather creating content (maps, apps, etc.). 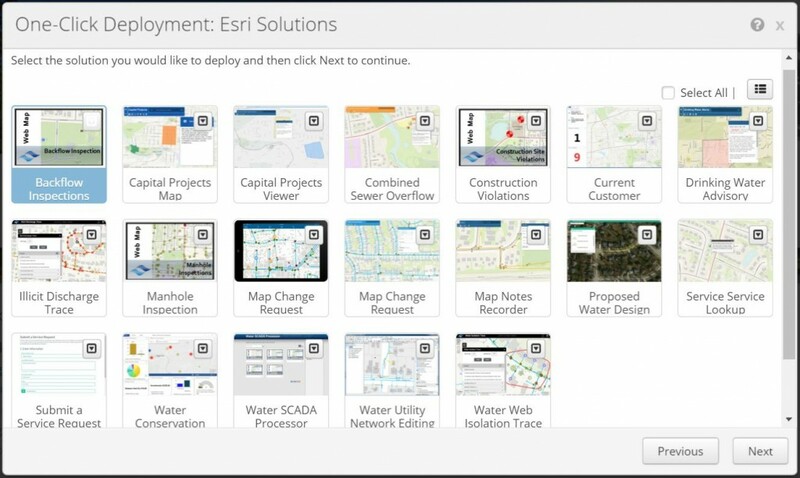 Esri’s solutions site does a great job of showcasing what users can build, but the challenge for Esri, business partners and clients was how to scale the deployment of these solutions. Especially with a significant increase in the number of organizations adopting portal technology. We saw early on that manually creating these solutions was not scalable and would ultimately be a bottleneck to widespread product adoption. So, staying true to our vision, we dug in and solved this problem. The outcome is really exciting and the numbers are shocking – see below. The Problem: Esri pledged $1B in ArcGIS Online software to support the ConnectED initiative. As the requests for free accounts came flooding in, Esri personnel were tasked with provisioning ArcGIS Online subscriptions to K-12 schools at a rapid pace. Of course, they could easily provision empty portals and keep up with demand. However, in an effort to give teachers the best chance for success, they really needed to provision portals that already contained meaningful information products (data, maps, apps, etc.). Otherwise known as Initial Operating Capabilities (IOC). This deployment capability did not exist. 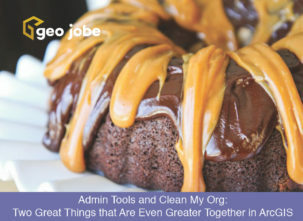 The Solution: Esri’s ConnectED team approached GEO Jobe because our Admin Tools application contains cloning logic. Throughout 2015, we worked closely with Esri personnel to finalize their ConnectED IOC and fine-tune our cloning logic to support streamlined deployment to K-12 portals. The outcome was the ability to provide schools with populated portals without having to add additional deployment staff. The Numbers: Through this pilot project, the data showed a 90% time savings in deploying IOC content into target portals. Yes, I said 90%! That means that it used to take ~3 hours to re-create and test an information product. With Admin Tools, it takes 20 minutes. Not to mention the time savings associated with minimizing user error associated with manual deployments. Considering an IOC can contain ~7 information products, we’re talking about doing 3 days of work in 2.5 hours. I’d say that classifies as “speed”! In ConnectEDs case, their IOC contains 85 groups and ~400 items and can be deployed in 5 minutes. Yeah, 5 minutes! What’s even more exciting is that this problem is not isolated to the education industry. All industries are embarking on this same pattern (IOC creation and deployment) to start accelerating the WebGIS vision. We look forward to continuing to work with Esri, business partners and clients in 2016 to take the ConnectED success story and scale it across all verticals. 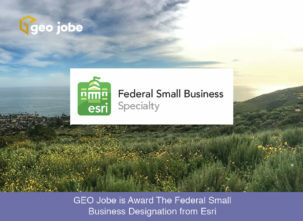 From our GEOPowered Cloud to custom solutions, GEO Jobe is committed to showing clients how geospatial thinking can guide them to save time, money, and make better business decisions. The power of GIS, Simplified!